Turkey was one of the first countries to allow women to hold elected office, but out of 8,794 men who have been elected to Parliament since 1935, the year in which Turkish women first took office, only 236 women have been elected. While it is true that women now hold a near 10 percent of seats in the Turkish Grand National Assembly (though many are in DTP), only a mere 2.32 percent hold local office. Even more shockingly, only .56% of all elected mayors are women. Out of those women who are elected to Parliament, many are so beholden to the males in their respective parties that they rarely speak out on their own accord. In the cabinet, there is only one woman, Nimet Çubukçu, and she is charged with women's issues. Many of these women are dependent on a tightly-controlled political party system that systemically preserves patriarchy as well as it does the elitism and nepotism long characteristic of Turkish party politics. Women are few and far between, especially women taking progressive political positions, and as if they did not face enough challenges, over sixty percent are barred from entering the public sphere as a result of their headscarves. According to a recent report from AKDER, preoccupation with the türban issue has not only taken the focus off improving the status of women in politics, but systematically denied a majority of Turkish women rights to political participation. As a result of the headscarf bugaboo, women have also been deprived of rights to education, employment, and economic and social security. Women who wear the headscarf are further subjected to abuse from society-at-large, in addition to the pain that comes with knowing one is not able to fulfill their potential. Forbidding women to exercise their basic rights or barring their entrance to public places unless they take off their headscarves is clearly a form of violence. According to CEDAW, "gender based violence is violence that is directed against a woman because she is a woman or that affects women disproportionately." Then again “being denied access to existing rights” is a form of violence against women. In addition, we must accept discrimination on the grounds of clothes worn on the basis of religious conviction as violence. Women sometimes took their headscarf off just because they were “persuaded” by an employee or because they were threatened or injured physically. Sometimes they were insulted by staff or thrown out of a place and threatened with prosecution. Being turned off university campuses is a very common experience. YÖK (the Higher Education Council in Turkey , the central state body which regulates the whole of university education, including private universities, and has a reputation for applying restrictive and repressive policies) has published circulars to ensure that veiled women are not admitted into university staff’s residential quarters. Women have been ejected from exam rooms because university staff did not approve of their wigs and when a woman went to take her driving test, she was told “showing your hair will not damage your virtue and honour” and frogmarched to the door by police. Headscarfed women receive treatment very much like that received by black people in an apartheid society, unable to enter white people’s churches, restaurants bus stations and barred from higher education a situation which can cause real psychological trauma. Because wearing a headscarf is a woman’s conscious act and her own decision, the psychological damage is heightened even more. If the “uncovered head” which is being imposed in the interests of modernity were merely a matter of clothing, if the condition for entering education was to dress in green from head to foot, every woman who wanted to continue their education might have put up with such a rule even if it were against their individual preference. But the fact that the headscarf is worn for religious reasons makes the dilemma much sharper for women. The headscarf ban puts women in the position of submission to government authority, the school or the employer, choosing between wearing the headscarf or exercising her rights. Removing a woman’s right to choose her own clothes under such circumstances is a profound external interference. Forcing a woman to either uncover her head or give up her rights is psychological violence, in the same way that forcing a woman to cover her head is psychological violence. This is a current and ongoing violation because the ban remains in place and subjects women to constant negative feelings and thoughts. When women who choose to wear the headscarf for their own important reasons are confronted with coercive interference from the state, and not wanting to take the headscarf off are forced to do so, they suffer severe internal conflict at having to act contrary to their own choices and determinations. The research entitled “Covered Reality of Turkey” has determined that women who had to take their headscarf off were indeed badly affected. The research found that 70.8% of women who removed their headscarf believe it damaged their personalities, and 63.2% felt insulted. Consequently many women chose to stay away from education rather than take off their headscarf. But this in turn left those women feeling empty because they were not permitted to fulfill their potential. In a recent survey by the World Economic Forum, its annual Global Gender Gap Report, Turkey ranked 123rd of 130 countries analyzed --a dismal result for a country in which men and women are legally equal, and more so, a society hugely supportive and proud of its inclusion of women in the public sphere. To rectify women's subjugation in politics, some have advocated using gender quotas to bolster the participation of women in politics. Women's groups take different positions on the use of quotas, but many, like AKDER, have supported quotas as a means of positive discrimination by which to promote the equal participation of women in politics. Prime Minister Erdoğan opposes quotas, saying that they would make women dependent on the benevolence of men. However, as others have argued, it is hard to see how this is not already the case. AKDER was particularly perturbed last month after its campaign for gender quotas won the endorsement of TÜSIAD only to be criticized by Erdoğan. For many women's rights activists, the prime minister generated further doubt of his support for women in politics when he stated in March -- and on International Women's Day -- that every Turkish woman should give birth to at least three children. No political party has been particularly supportive of women's rights, and when women do reach political office, they either take a back seat or are used as political pawns. As Itir Bağdadi, lecturer at İzmir University of Economics, alluded to at a panel I was able to attend at this year's Middle East Studies Association (MESA) conference, women in the public sphere often behave as if they have to prove their masculinity -- often eschewing their interests as women, and perhaps going so far as to even compensate for their perceived femininity. The example Bağdadi brought up was former prime minister Tansu Çiller, who despite being rather centrist before landing in the position of prime minister, soon became a national security hawk. Çiller was Turkey's first female prime minister, and one of the first female leaders of governmet anywhere in the world. 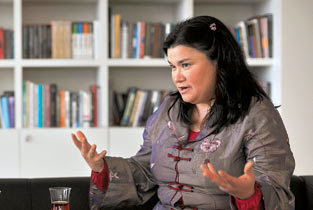 However, in Turkey, she is largely remembered as fomenting the war in the Kurdish southeast. The war deeply damaged Turkey's reputation around the world, failed to quell the PKK, and involved military/deep state tactics that systematically killed, injured, and displaced large swaths of Turkish Kurds, many of whom are still displaced today. Previous to rising to power as prime minister, Turgut Özal had been president, and his conciliatory stance on the Kurdish problem placed Turkey in the unique position of negotiating a solution -- a prospect with which Çiller was in favor when she said she favored a "Basque solution" to the problem (Zürcher). However, faced with pressure from Kemalist hardliners and what was likely a perceived exigency to prove herself "tough" on national security issues, Çiller led Turkey into a vicious political cycle from which it would not extricate itself until 1999. According to most of the women with whom I have talked, women are still very much reluctant to embrace their identities as women in the public sphere, and either resign themselves to work in a specific policy portfolio of "women's issues," or so respond to the double bind in which they are caught by abnegating their femininity. Regardless of their weakened positions in party politics, women have become key public players. Women's groups are a critical sector of Turkey's inchoate civil society, and their strength is exemplified by the reforms these groups have helped secure. 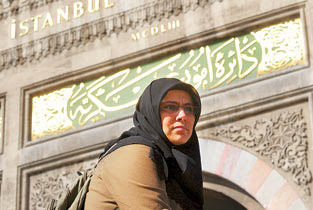 For example, in 2004, women's organizing resulted in the creation of a more progressive Turkish Penal Code. The voices of women were also harnessed in 2007 in opposition to the Turkish government's abortive attempt to change the constitution so as to characterize women as a vulnerable group in need of special protection. The United States Supreme Court Justice Louis Brandeis, in a judgment in 1927 stated that “Men feared witches and burnt women.” While problems of women’s rights, modernization, human rights, and democracy are being discussed throughout the rest of the world in the 21st century, Turkey , for the last ten years, has been preoccupied with whether women with headscarves have the right to enter higher education institutions. The talk is of progress and the contemporary world, but what is actually happening is that women who wear the headscarf are being excluded from society, and while the arguments about the headscarf/türban drag on, no serious steps are being taken about women’s existing and all-too-real problems. For more on Turkey's preoccupation with the headscarf debate and the crippling position in which it leaves women, see Feb. 19 post. If CHP is serious about its recent change of heart, it will do all it can to immediately rectify what its politics of division has done to impoverish Turkish women. Ragan,thanks a lot that convey to the headscarf and women in politics on your blog. the headscarf is a religious cloth so shouldn't ban.There are different religions that give people peace and everyone is free to choose own religion.at the same time there are some religious rules that is fulfilled by some people.Nobody should prevent so that do or not do.IF you bereave from some values to people,you make them unhappy and cause a psychical trauma that is incredible bad thing .in Turkey the headscarf ban has been hurting most of people. the ban is a wound in my heart.When it is spoken,as if a surgeon is operating the open wound not morphine,l feel pain. The ban's aim is to torment and play with people not find a solution.namely the lancet get around the wound,it doesn't cure.the lancet has been given to the CHP and AK Party was injured while try to solve it by CHP AND ITS SUPPORTERS.Finally a generation and their hopes and dreams died.this is very pain.everyday to cry and sleepless nights and incurability besides insults and notwithstanding to try to live in this world.Please please if you don't solve the issue,at least don't injure more,enough.Religion should not be a pawn at politics.l hope new generation grow up with their hopes and dreams and can come true its..l'll help them everytime,they should not experience that is the our pains. in Turkey if woman is determined ,she can enter everywhere.this is not a politics problem,this is a cultural problem.at the last years the situation has started to change as positive.AK Party started to change and give hope to all people no separate. Previous to rising to power as prime minister, Çiller had been under the tutelage of Turgut Özal, whose conciliatory stance on the Kurdish problem placed Özal, and Çiller as his respected protegé, in the unique position to negotiate a solution. This is false. Ciller was got into the parliament as DYP MP and she was a minister in Demirel's cabinet. I'm not sure you got the motivation behind her hawkishness right either, but there's so much lying and spin on that issue it is tough to figure out what took place. This is indeed my error. Çiller came into politics under the tutelage of Demirel, but her politics were more akin to those of Özal. Thanks, Bülent! I fixed what is a very large error, and appreciate the fact that you made me turn back to this.